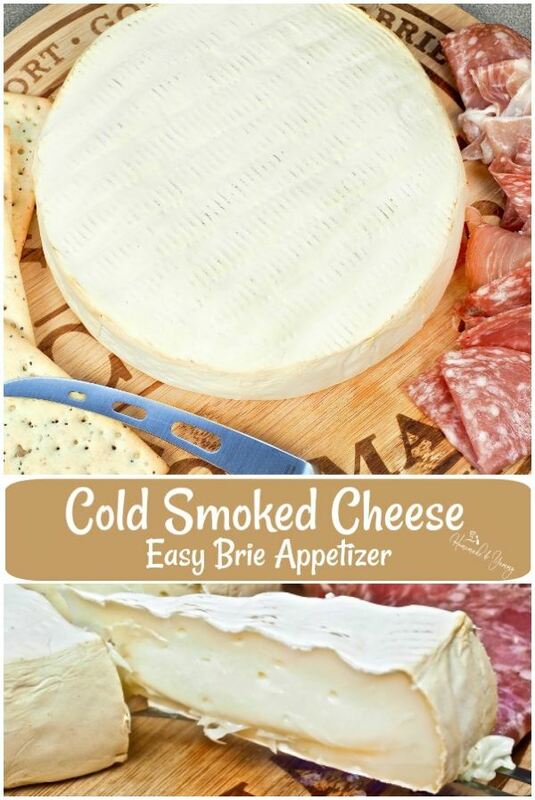 Cold Smoked Cheese Easy Brie Appetizer | Homemade & Yummy Homemade & Yummy | Fun delicious recipes and more. 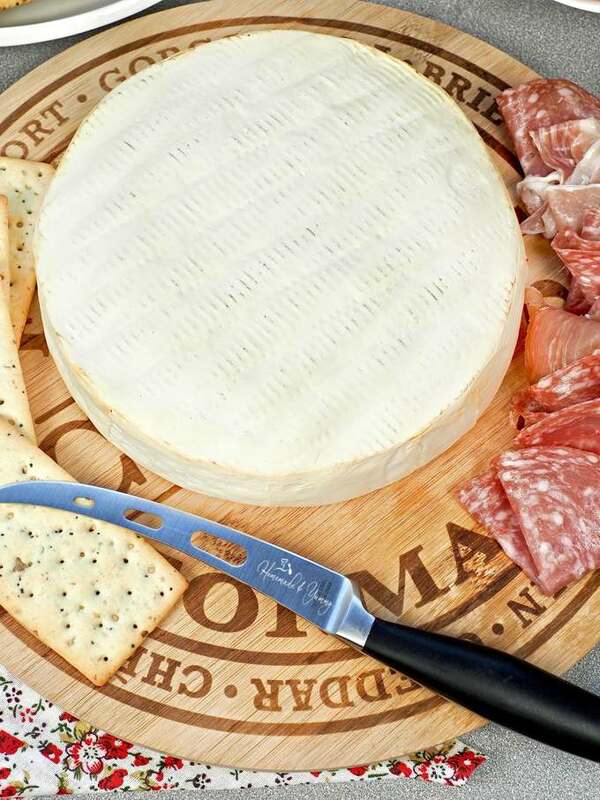 Cold Smoked Cheese Easy Brie Appetizer might just be the hit of your next party. 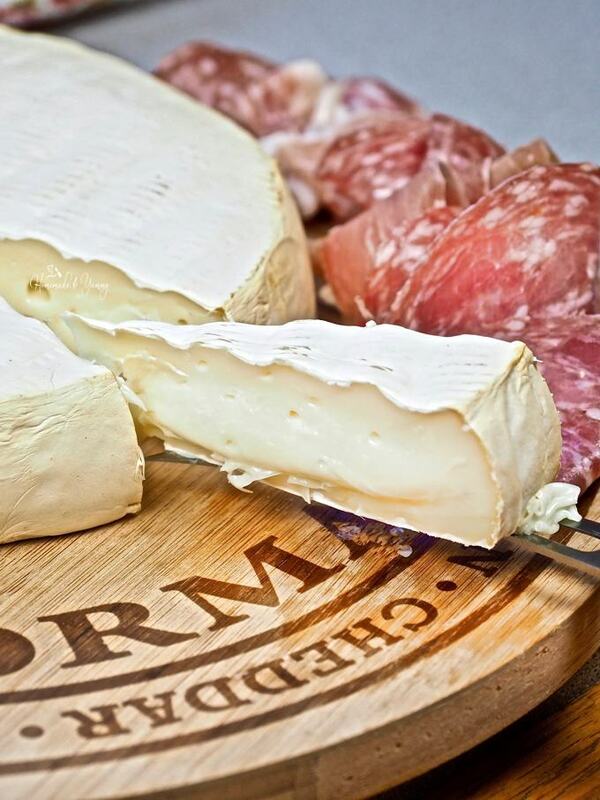 Wood pellets, a cold smoker container, and some great brie produce the best-smoked cheese you have ever tasted. When I first tried cold smoked brie at one of the many grilling classes we have attended, I was hooked. Even my husband (who is not a brie lover) thought the smoked brie appetizer we made was REALLY good. I am so glad I can convert those taste buds of his to enjoy the good things in life. Have you tried smoked apples? Have you tried smoked cheddar? We often have it in the house, especially when Costco puts it on sale. Once we found out how to make it ourselves, there is no need to buy it anymore. It is easy to do and gives you the option to try lots of cold smoked cheese recipes. The different combinations of paring woods and cheeses are endless. Totally different than pit smoking. If you know anything about hot smoking, controlling the temperature is vital. My husband loves his Flame Boss 300 WiFi. What is Cold Smoked Cheese? If you have ever bought smoked cheese at the store you know it can be expensive. Flavour is added to cheese with the help of wood chips or pellets using a low temperature. The cheese is not cooked but infused with a smokey flavour from the outside. What a great way to add some personality and elevate the taste of humble cheese. Take ordinary cheese and make it extraordinary. 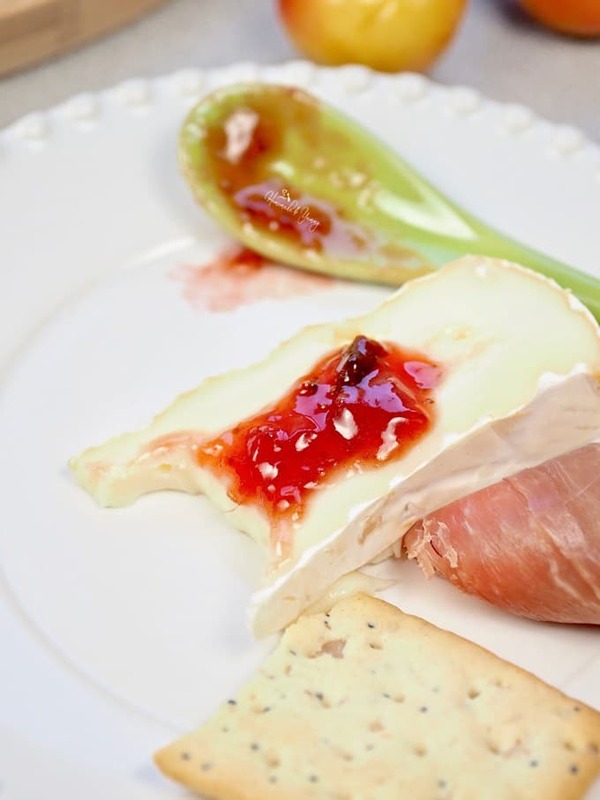 For this cold smoked cheese recipe, we re-created the originally smoked brie appetizer we had at our cooking class. Did you know that Canada has some fantastic cheese? Look for the Dairy Farmers of Canada logo next time you shop for your selection of cheese. There are several methods to cold smoke cheese. You can use a gas grill or charcoal grill. My hubby is a BBQ fanatic (yup he has all the toys). For this smoked cheese recipe, we used his KEG charcoal grill (minus the charcoal). When we smoked cheese in class it was done on a gas grill (minus the heat). So, you may ask if there is NO HEAT involved, how do you smoke cheese? You use a smoker container. Some can be tubes, others can be DIY foil pouches. In both our cooking class and our own cheese smoking, we used a cold smoking tray by A-Maze-N. Cold smoking on a cool day is ideal. It makes it much easier to control the temperature inside the grill. The day we smoked our cheese it was a million degrees outside. Hubby cold smoked the brie for 80 minutes. Depending on the outside temperature, and the type of cheese you choose, you can cold smoke anywhere from 30 minutes to 4 hours. The flavour of the cheese right off the grill will be milder than when you store it in the fridge. In fact, just like fine wine (and women LOL) if you can let it sit for a week or so, the flavour will be over the top fantastic. Be sure to wrap it tightly in plastic wrap. This is the fun part (along with choosing the wood flavours). Just about any cheese that will not fall apart will work. Large blocks of cheese should be cut into smaller pieces (but DO NOT cut the brie). That would be a tragedy! As for the wood flavours, you can go from mild (like apple and cherry) to strong (like hickory and mesquite). The choices are ALL personal preference. Lots of tasty options for your eating pleasure. 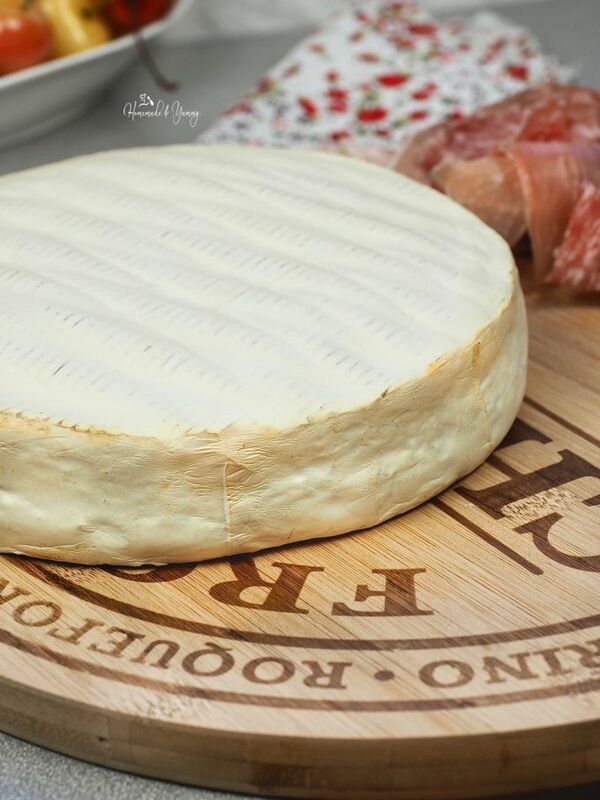 This cold smoked brie cheese was our Sunday afternoon appetizer. Paired perfectly with wine (who would have thought LOL). We ate it right off the grill. Sliced nice and warm, runny wedges of goodness, put them on some crackers (or straight to my mouth). Piled on some spicy wine jam, added some charcuterie meats and called it dinner. We have been totally enjoying grilling season this year. From appetizers like Strawberry Bruschetta to desserts like Watermelon Pizza, cheese seems to be the common denominator in many recipes. Cold Smoked Cheese Easy Brie Appetizer certainly will be happening a few more times (all year long). Take humble cheese to a whole new level of deliciousness. 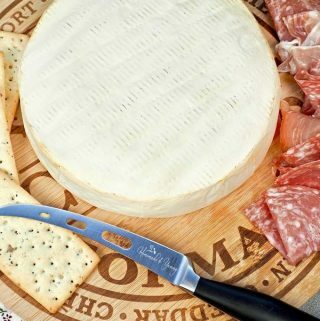 This Cold Smoked Cheese Easy Brie Appetizer will be the hit of your next party. Fill your smoker container with your choice of pellets. Place inside your grill, and ignite. Close the lid for a few minutes to create some smoke. Place the room temperature cheese on the grill (not near the smoker container). Close the lid, and smoke until your desired level of flavour. We smoked ours for about 80 minutes. **NOTE** Be sure the internal temperature of your grill stays under 90ºF...YOU DON'T WANT TO COOK/MELT THE CHEESE. When done, remove from grill. Place on a board, along with a cheese knife, crackers, meats, and toppings. Be sure to wrap leftovers tightly in plastic wrap before placing in the fridge. Oh goodness, we love brie in our family. I’ve never had it cold smoked though. We’ll have to give this one a try, looks delicious. 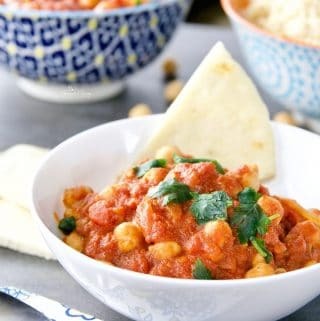 This is such a fun recipe…and perfect for entertaining too. Oh my gosh – I am SUCH a huge cheese fan, but I honestly don’t think I’ve ever tried it smoked! 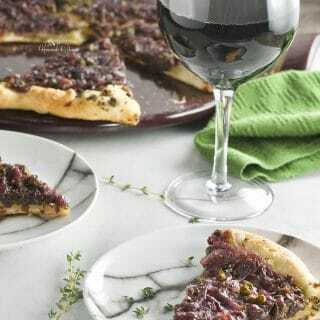 This looks insanely good – and I’m sure it is incredible when paired with the right wine, like you did! HAHHA…yup this makes wine and cheese parties just a little more fun. You had me at brie. Say no more! … but seriously. My hubby has been dying to get a smoker and this may be the perfect excuse for me to agree. Once you give this a try, you will be making it all the time. I had no idea you could smoke cheese at home! 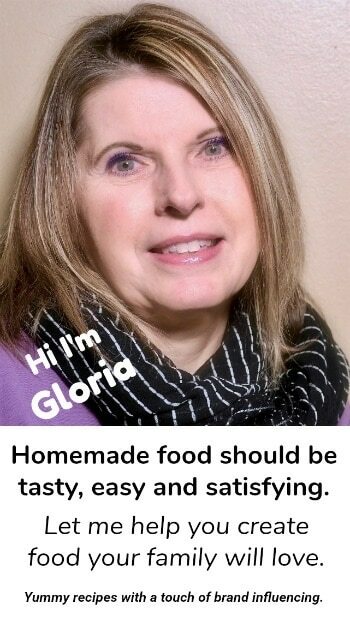 You are my culinary hero! I have to try this at home sometime! YUP you sure can. Hope you give this recipe a try. I LOVE the idea of making smoked cheese at home – it’s not even something I’ve even considered as an option! It is so easy. 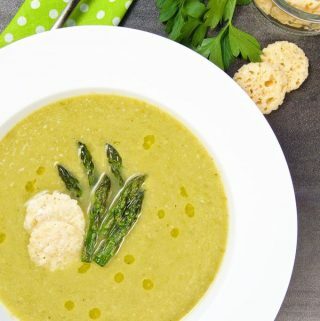 Hope you give this fun recipe a try. I’m so intrigued by this idea! I’ve never smoked anything but we are huge cheese fans in our house!. Love the idea of taking an ordinary cheese and giving it nuance! Takes cheese to a whole other level of yum!! Girl, you’re speaking my language with this smoked cheese! I’m obsessed with a smoked mozzarella from my local Italian deli, but it would be way cheaper to just make myself! 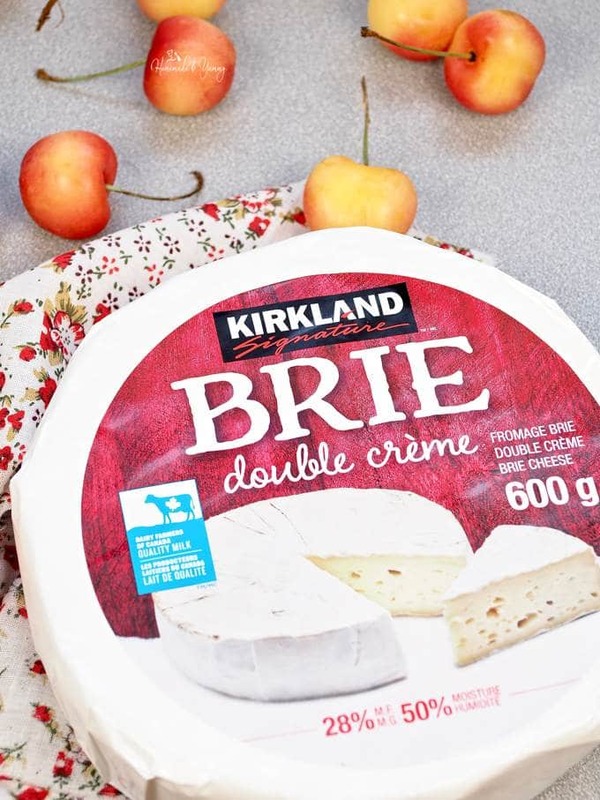 I’m also a HUGE fan of brie, and I can just imagine how amazing this smoked brie must taste! I would totally hide this cheese from everyone and eat it all by myself! This is such a hit at BBQ parties this summer. I should sell it LOL!! YES….and you can try all different types of cheese…and different pellets to get lots of great results. Well you don’t HEAT the grill…only the heat from the pellets. 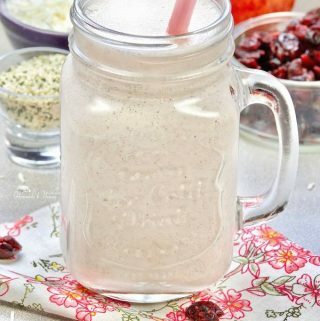 Hope you give this fun recipe a try. This is super cool! I’ve never thought about smoking my own cheese, what a great idea! We recently got one of those egg smokers, I wonder if I could use that. I’ll have to give it a try, smoky brie needs to be a part of my life! 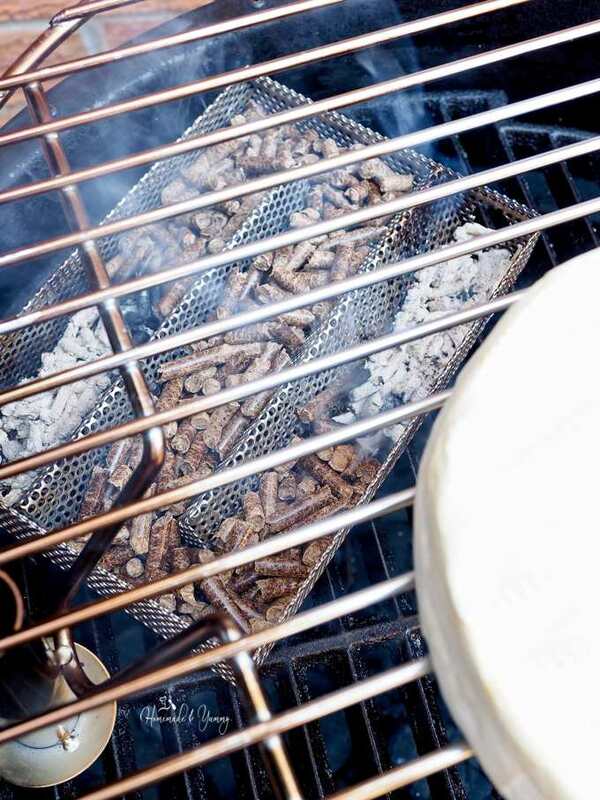 Any BBQ will work, you are NOT heating the grill….just the heat from the pellets in the container!! I learned something new today! 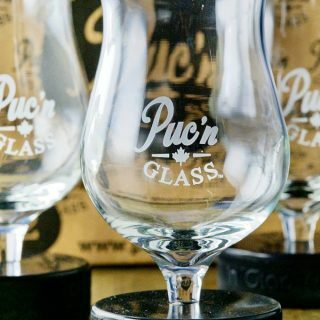 I can’t wait to try this cold smoke technique, thanks for such an interesting post! ENJOY…this is great for BBQ parties. This is such a terrific post! First, because the smoked brie looks amazing – I adore cheese, and this is something I’ve just GOTTA try! 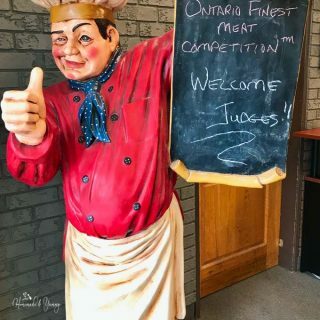 But beyond that, I really appreciated the great photos and in-depth how-to info – so that even someone like me (who’s never cold-smoked anything ever before!) – could feel confident giving it a try! Fantastic – thank you for the helpful tips! 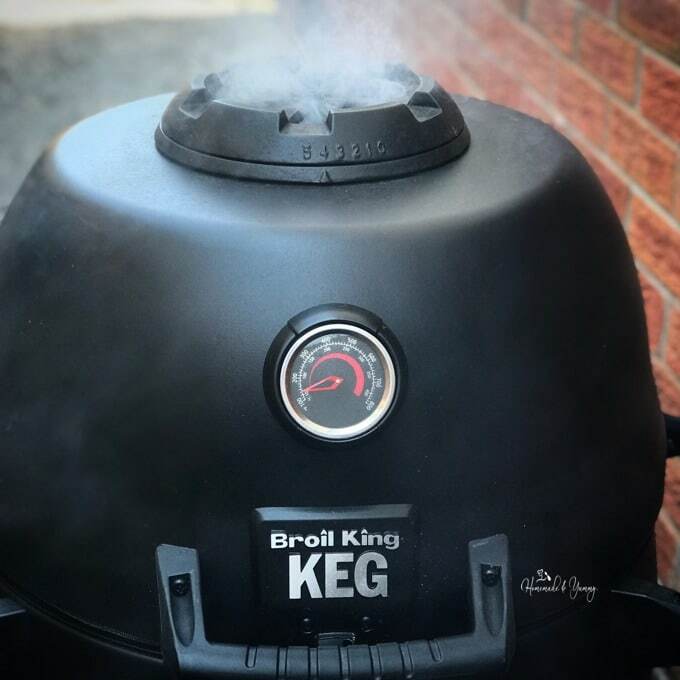 I had no idea you could cold smoke in a gas grill! What a cool idea. YES…since there is NO HEAT from the grill….any grill will work. I might need to try this because I’m usually not into brie. What a great idea! And grilling classes sound really fun! Well my husband is not a brie lover either, but he does like it done this way. Give it a try. This sounds like it has so much flavor! It sure takes cheese to a whole new level of yum!! 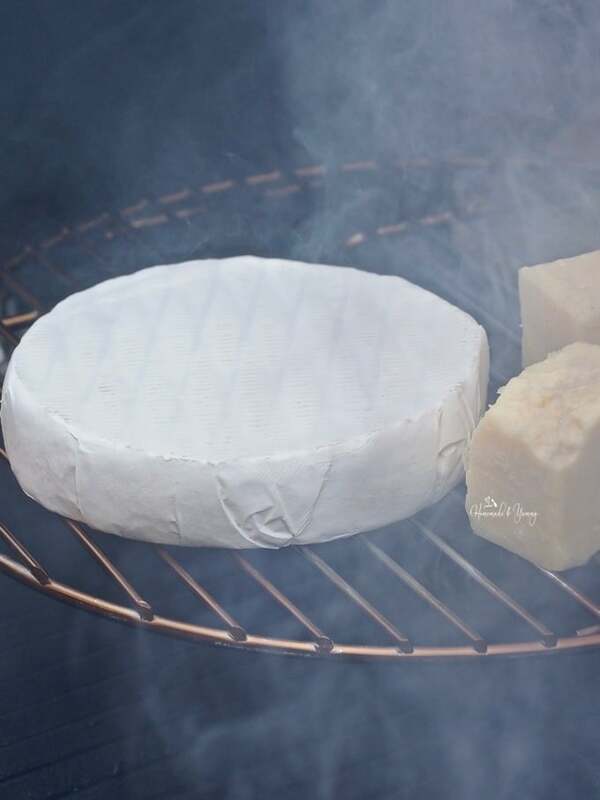 I love the idea of smoked brie, I feel like it would compliment the flavors so well! Hope you give this super delicious cheese recipe a try. Ha I was literally at Costco yesterday and my husband made me buy the smoked cheese because apparently he had it on a burger recently and it was the most amazing thing ever. I haven’t tried it yet, but now I am excited. I never even thought about doing it at home, but I always love experimenting with food at home, so this is right up my alley. Thanks for all the tips, this is definitely something we will be trying out! Well now you can experiement at home…works really well. We did a bit of old cheddar too. This is such a great idea! We just got a Traeger grill, so am excited to try this method. 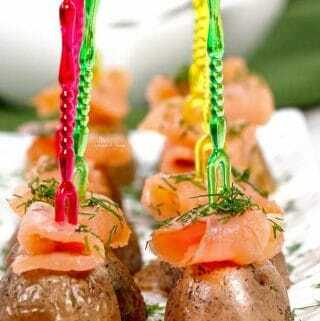 Have fun….this is a great party appetizer. The only heat is from the pellets creating the smoke. You are NOT cooking the cheese. ENJOY! I love love love smoked cheeses! In fact, I’ve done one myself, though it was a hilariously last-second idea. I had just smoked something on the barbecue and when I took the wood chip packet (wrapped in foil) off the barbecue, it was clearly mid-way through ideal smoking period. Not wanting to waste it, I grabbed a big piece of cheddar, threw the wood chips in a metal bowl and put the cheese on a little metal stand over top of it. I didn’t know if it would work, but MAN was it ever good! So when I saw this, I was thinking “YES. BRIE. That’s next.” So three cheers for smoked cheese! This is the perfect entertaining cheese. 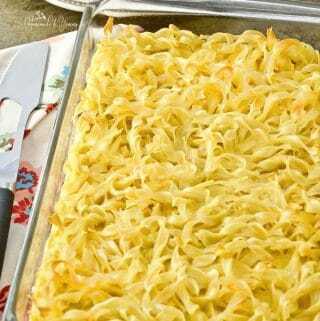 So easy, so delicious….so “fancy” without any effort. Yum! I love smoked cheese and will love learning how to make our own with this wonderful recipe. it’s only a new find for me but I don’t think I can ever go back. I know my daughters cannot get enough of this. 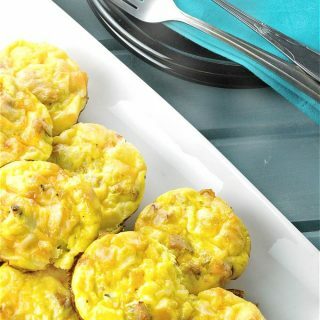 It has quickly become the favourite party appetizer. It sure is easy and delicious. Hope you give it a try. If you love brie, you will LOVE this. I must show this smoker to my husband. He loves good smoked foods. And this brie… OMG! I love brie, it’s one of my favorite cheese. This smoked version sounds super delicious. Smoked brie is over the top delicious for sure. Hope you give it a try. We love brie and have used it several times as a baked appetizer (in puff pastry). I’ve never even considered throwing it on a grill but now I can’t wait to try this technique! Thanks for sharing!! ENJOY…you are going to love it!! Brie is, hands down, one of my most favorite cheeses. Add to that the fact that I love smoked cheese, this recipe is a total dreeeeeeeam. My husband has a smoker, so I’m totally getting him to help me out in trying this! I can’t wait! 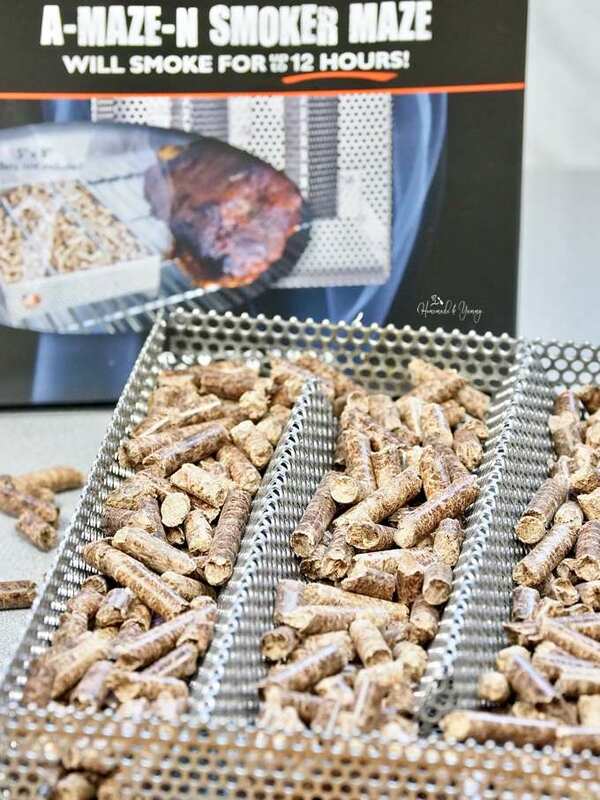 ENJOY….and you don’t even need a smoked…just a tray with pellets. 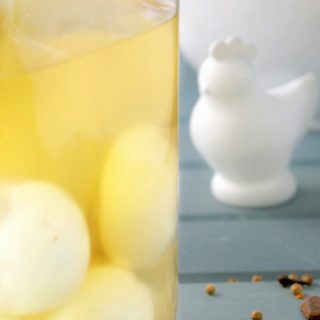 This is such a fun and tasty experiment…I hope you give it a try. (mouth hanging open!) I had NO idea you could smoke your own cheese!! I have a smoker that I use all the time and never once thought about adding cheese to the party. Super helpful tutorial and super great idea to try!! Give it a try…you will see how easy and delicious it really is. I like smoked brie, it is best appetizer I have ever eaten, I love your way of making smoked brie. It is perfectly done to bring out best flavor. 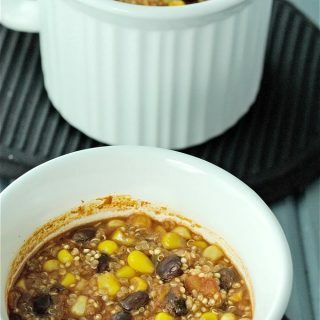 This is a fun recipe…and perfect for entertaining.